Hey! We were at Safilo Fall Winter 2016 / 2017 Preview at Sky Lounge, Vipod Suites Kuala Lumpur to check out the latest 2016 eyewear trends & collections from the world-renowned labels. Such as Hugo Boss, Boss Orange, Carrera, Celine, Dior, Dior Homme, Fendi, Fossil, Givenchy, Gucci, Jimmy Choo, Juicy Couture, Kate Spade New York, Marc Jacobs, Max Mara, Max&Co, Polaroid and Tommy Hilfiger eyewear collection. Let’s take a look what is in for this and the upcoming season. 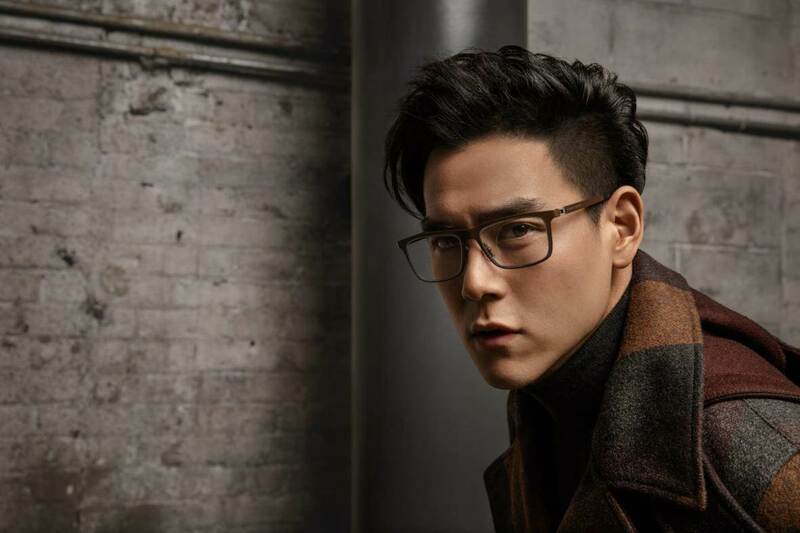 The Fall Winter 2016 2017 BOSS eyewear campaign is presenting a more relaxed and aesthetic look than ever with raw industrial spaces and starring Eddie Peng. The ultra-lightweight and flexible BOSS Fall/Winter 2016 eyewear styles are retro inspired yet modern shapes that represent technical precision and dedication to crafts. FENDI presents the Fall Winter 2016 2017 Eyewear Collection, celebrating the Maison’s elegance with subtle and unique geometric architectures, enhanced by unexpected colour combinations and a subtle feeling of lightness. A skillful manufacturing enriches the steel frames of the LEI models echoing precious origami techniques as well as the oversize eyeline sunglasses. GIVENCHY presents its new Fall Winter 2016 2017 eyewear collection with unisex and oversized shapes, as well as materials mix. Iconic detailing, subtly incorporated in the various styles, conveys Givenchy’s unique identity and distinctive signature. 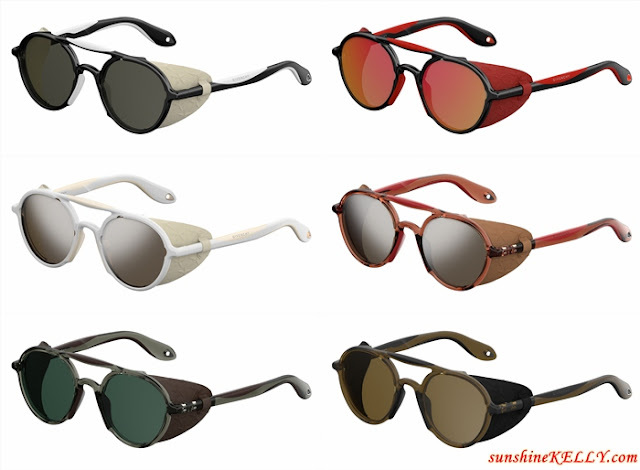 GIVENCHY Bridges collection under the style group of Rave (edgy, urban styles with bright colors and an audacious materials mix) is directly inspired from mountaineering sunglasses. This model features removable leather spoilers embossed with the iconic “star” pattern. The rounded shape and rubber over-injection enhance its sporty and technical aspect. The iconic reinvented drop-shaped and round-shaped are in the core of Fall Winter 2016 CARRERA Maverick collection. In line with the essential but statement design of the collection, these new nylon-fiber frames are enriched by a slim double bridge and steel temples. This fall 2016, Fossil raises a golden-roasted marshmallow to adventure inspired accessories, and hits the camping trail with stylish must-haves for classic-ish guys and tom-girls. The eyewear map to autumn has all roads leading to leather alternative accents with frames offered in rich colors including saddle browns, night-sky charcoals, camp-fire reds and stone grays for a new tribe of finders, seekers, survivalists and curious minds. The Kate Spade New Yor Fall Winter 2016 2017 eyewear collection goes undercover this season, paying homage to those who dream big and the Luann/S sunglasses, below, flawlessly exemplifies this theme. Inspired by glamorous masquerade ball masks combined with theatrical opulence, the show-stopping Luann/S cat eye shaped sunglasses captivate onlookers with both high drama and sparkle. The thick profile of the acetate frame front is embellished with 26 eye-catching Swarovski crystals and chunky acetate temples featuring the signature metal spade logo on the left temple. Available in blue (pictured), burgundy and Havana honey. The Marc Jacobs fall/winter 2016 eyewear collection juxtaposes the avant-garde with conventional eyewear traditions, combining the everyday with the extraordinary, unexpected, unconventional and unique style. Transparency and lightness are key on these geometrical shaped metal sunglasses. the two models represent the highest levels of craftsmanship. The panthos shaped marc 101/s and the cat-eye shaped marc 100/s each possess a multi-layer lens construction in which the lenses relinquish their traditional functionality to become part of the frame design. Polaroid Twist new eyewear collection is designed to change the way we view sunglasses. With its vibrant colors, flexibility and lightweight feel, Polaroid’s Twist Collection is the perfect match between cool and practical. 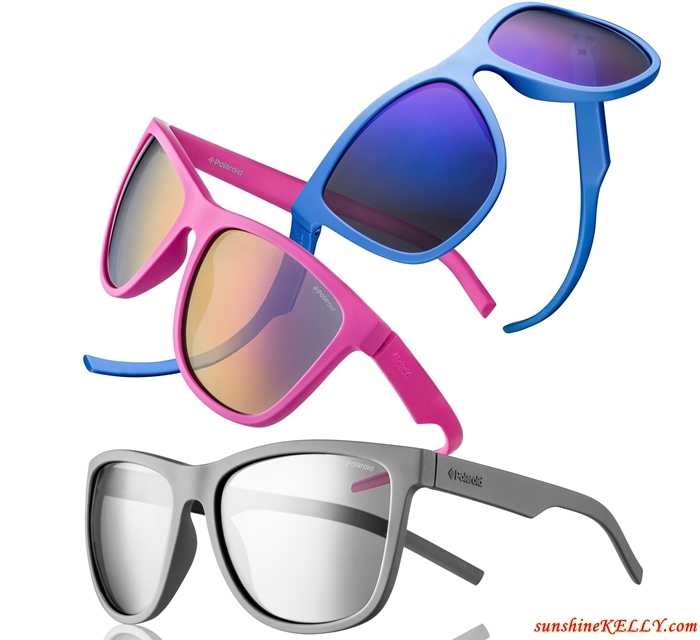 These sunglasses combine comfort with strength, and are perfect anywhere, anytime: at the beach, downtown, on the slopes, or for any sports you practice. Enjoy carefree fun to the max with your Polaroid sunglasses, Polaroid’s TWIST sunglasses allow for true color perception and superior anti-glare vision, thanks to the exclusive UltraSight™ polarized lenses. All Polaroid sunglasses come with UltraSight™ lenses, for a perfect, distortion-free vision, enhanced contrast, reduction of eye fatigue, and 100% protection from UV rays. Available for adults as well as for kids, the new models come in trendy nuances of blue, green, orange, fuchsia, gray and black. Spotted Asap Rocky, Larry Clark, Michael Jordan and Robert Pattinson wore DIOR HOMME sunglasses during DIOR HOMME Summer 2017 Fashion Show. why do u look good in every photo one ah.. what's your secret Kelly! !